PHP 5.3 was really great for the comunity. It came packed with gifts like namespaces, closures and late static binding. 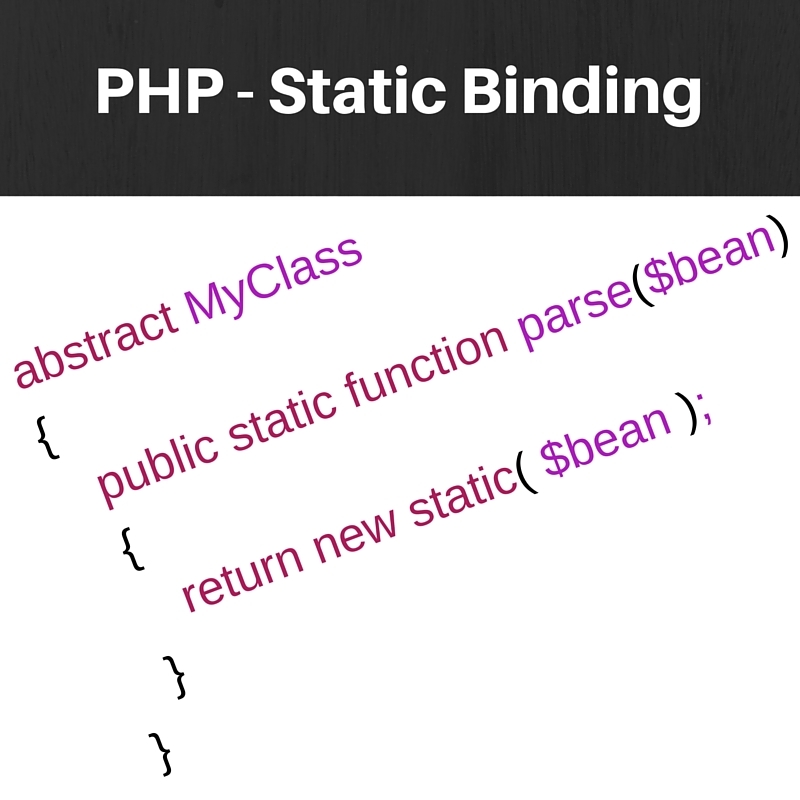 This last feature allows us to build very functiona abstract classes. I am currenty developing software in 5.5.30 and 7.0.1 versions of PHP in my local environment. However not everything is sunshines and rainbows when it comes to production environments. I ran into a very easy to fix bug a couple of days ago. The getAll method in WPExpress BaseModel brought down the new release of the theme I am currently working on. I came across the Cannot instantiate abstract class error. Much to my suprise cause I could not see it at the very begining –Silly me–. But before I talk about the solution a little bit of background if you are not familiar with WPExpress. WPExpress is a Framework for WordPress Developers. Not it has no GUI, no, it is not a plugin, and no you cannot download it from the WordPress.org repository. It is a Framework for Developers. People who actually know what they’re doing not just dragginf and dropping and pressing buttons here and there. I built it so others people who works with modern PHP Frameworks can get to write meaningful code faster. The WPExpress module contains an abstract class called BaseModel. This class allows you to create Custom Post Types for WordPress under 30 seconds. Your Custom Post Types extend this class, and that’s it. The BaseModel takes care of almost everything on the WordPress side. The getAll, method uses the static keyword to instantiate a list of objects of the child class. I am using array_map to parse the $posts list and keep me from writing a foreach method. Everything is sunshine and rainbows until it goes to production and breaks. Why o why I wondered, since, well it works in my environment, it works on several other production environments, and it breaks here. After banging my head for a while I remembered that closures, did not inherit the ability to manage static bindings. And surprise surprise. It breaks on PHP 5.5.1 to 5.5.13 around the same time when they added support for it in PHP 5.4.30 as well. Considering all this varibales can make an impact in the future of my framework –If there is any–. Even if the experience was an annoyance, I think it gifter me with a glimpse into the real hard work behind real PHP Frameworks such as Symfony and Laravel.